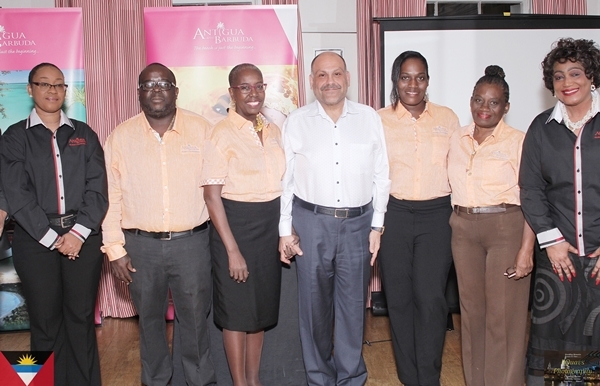 The Antigua and Barbuda Tourism Authority has launched a “Unique Properties GEMS of Antigua and Barbuda Guide”. The guide showcases Antigua and Barbuda’s smaller hotels and properties, many of which are owner managed offering an added value and a more personalised stay. Represented at the exclusive launch event for the UK travel trade and media on Thursday, 10th November in London were 4 of the Unique Property owners – Mrs. Lorilyn Walker – Lamblion Holiday Apartments; Mr Roger Lewis – South Coast Horizons; Mrs. Shirmique Jeffers- Salmon – Connie’s Comfort Suites and Mrs. Jacqueline Cort – Thomas – The Villas at Sunset Lane. Gulliver Johnson publisher of the guide was also present. The unique properties were first formed in 2007, however, the Antigua and Barbuda Ministry of Tourism has taken the initiative to re-brand the collection and produce the guide. The guide aims to promote independent properties to consumers, travel agents and tour operators. 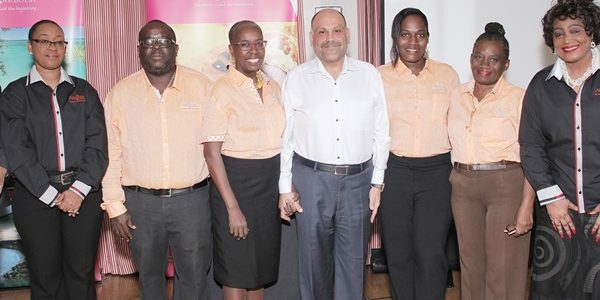 The stand out elements of these ‘gems’ is that visitors will be able to get to know their Antiguan and Barbuda hosts and feel the genuine warmth and hospitality of the islands. The guide allows visitors to choose a property best suited to their requirements, where they can enjoy an authentic intimate home, ranging from the classy and sophisticated to the simple and elegant. The properties also have robust sustainable initiatives in place to ensure an environmentally friendly stay. The wide range of properties offer incredible added value with local insight from the owners and authentic experiences available. During the presentations the property owners were able to differentiate their hotel and highlight to the listening trade and media some of the added value elements being offered ranging from cooking classes at Villas at Sunset Lane to exploring mangroves at South Point Horizon, vehicle hire with Lamblion Holiday Apartments and market tours with Connie’s Comfort Suites.